I/ITSEC 2018: Ready, Set… Is the Military Training Industry Ready for Disruption? 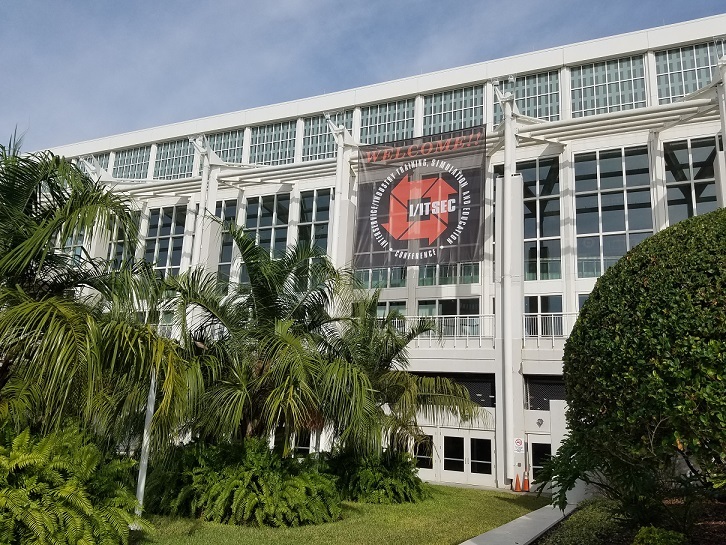 Military training leaders are here in Orlando, Florida for I/ITSEC 2018 for a full week focused on simulation showcases, education, and an exchange of information among industry, military, and academia about the future of training. Over the years, the topics have evolved as the technology has evolved and pace of adoption has increased. We’ve gone from focusing on the complexities of training to now focusing on the disruption of innovation and emerging technologies. Are military training leaders ready to embrace the new world of training? Modern Military Training Editors: How do you think industry is approaching the challenge embedded in the theme for this year’s show – “Ready, Set, Disrupt”? Chip Gilkison: The pace of technological changes in both our systems as well as the adversaries’ systems demands that we implement and train to new innovations, which is faster than our current acquisition system can manage. It’s hard to believe that technology has evolved so rapidly in both simulation and training. The truth is that the technology is ready in many key areas and is ready for adoption. One example is the U.S. Navy TCTS Inc II program. The U.S. Navy saw that technology was mature enough in terms of encryption, cross domain solutions, and processing that they embarked on their LVC journey knowing they could build on the tenets of security. The Navy chose to “future proof” their TCTS Inc II program by incorporating open systems architectures, common standards, and software-defined transmission capability in order to have a system that will not only be integrated into all of aspects of fleet training, but it can grow as new LVC blended training insights and requirements emerge. By fielding the system in the fleet in a few short years, the Navy will disrupt the typical development paths and force action in order to comply with certain mandates on readiness that have been flowed down. Editors: Where do you think the world of training and simulation is headed and what innovations are on the horizon? Gilkison: The warfighter certainly can’t train against next-generation threats using previous generation technology. We don’t have the time or budget to train for tomorrow with what we have today. Linking live and synthetic participants and enabling them to train together using real aircraft systems will be that force multiplier. Simulators today conduct distributed mission training, but the insertion of live aircraft allows our warfighters to fight against the density and fidelity of foes they will encounter operationally. The pilots must be able to interact with real aircraft systems even if they are fighting synthetic targets. Editors: What emerging technologies are you seeing that will impact military training today and in the future? Gilkison: First, before we can enable aircraft to securely train, we must ensure the ground assets, simulators, and networks are secured to the right level. Many of these networks and simulators are only able to communicate to players that are of the same security level. They must be able to share the right data with the right players at the right time. Second, off-board computing that is not part of the aircraft itself will be essential to rapidly update and validate new tactics and procedures that are developed. By taking advantage of open standards and not relying on aircraft OEMs and budgets to make changes to specific aircraft OEM Operational Flight Program every time a change is needed, the training will be more real and relevant. Editors: How does modern simulation technology play into the concept of readiness without boundaries? Gilkison: Training ranges are a necessity now, but they are composed of a fixed volume of airspace that is too small to contain the weapons and sensors fielded today, and they lack the security infrastructure necessary to safeguard our systems and tactics. Tomorrow, these ranges will shift to virtual ranges that are available anywhere in the world and have unlimited capacity. They will consist of any asset, live or synthetic, that is available to connect to the network and enable truly immersive, realistic training for the high-end fight. Want to learn more? Visit Rockwell Collins at I/ITSEC in booth #2201 and stay tuned to Modern Military Training for updates from the show floor. You can also follow updates from the show in our I/ITSEC 2018 section.